With the iPad 5 rumours gaining pace in anticipation of its expected release this fall, further images have been leaked which claim to show the biggest redesign of the iPad since the original. 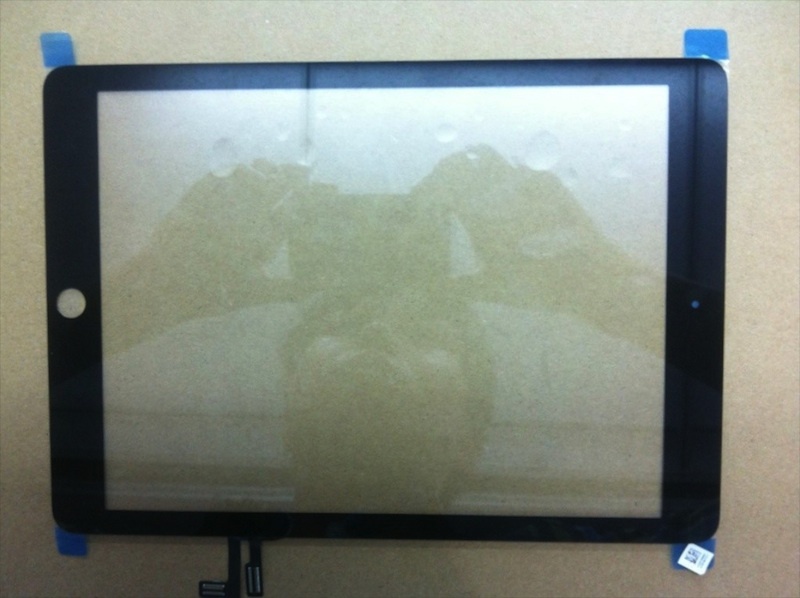 MacRumorsspotted some potential photos of the iPad 5’s digitizer and screen uncovered by Australian repair shopMacFixit. The company claim they are genuine iPad 5 parts, which include a front panel and digitizer of the iPad 5. The parts show that the iPad 5 will include the narrower bezels inherited from the iPad Mini as has continually been rumoured, allowing the device to retain its 9.7-inch retina display while reducing the overall size of the device. In addition, the connectors of the flex cables appear different to what Apple has previously used. This is said to be one of the technological advancements Apple have made with the iPad 5 in order to reduce the form factor. The display area is the same as the iPad Retina. The edges of the frame are narrower using the same style as the iPad mini. There are now 2 connectors instead of 1. The display connectors have been changed from FFC (Flat Flexible Cable, like the iPad 2/3/4) to FPC (Flexible Printed Circuits, like the iPhone 4/5). Stamped on the front panel is a part number of 821-1892-02, which matches the format used by Apple on many of its iOS device components. Everything appears to hint that these images are the real deal, and the iPad 5 will be very close, if not identical, to what we see in these leaks. Apple are expected to announce the iPad 5 as soon as next month to accompany the public release of iOS 7, so we might not have too long to wait to find out!